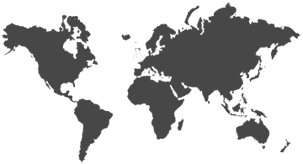 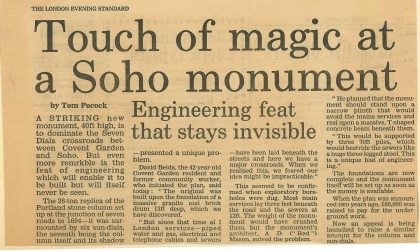 Some of the press coverage re Seven Dials spanning more than two centuries. 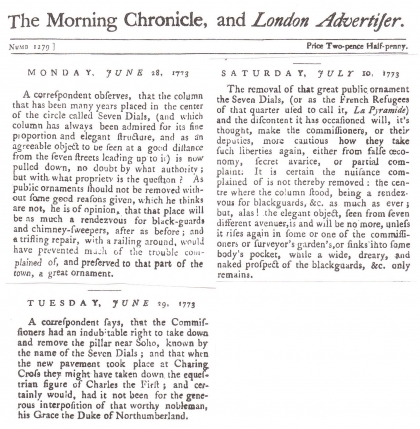 1773 – The Morning Chronicle and London Advertiser: Removal of the Sun Dial Column. 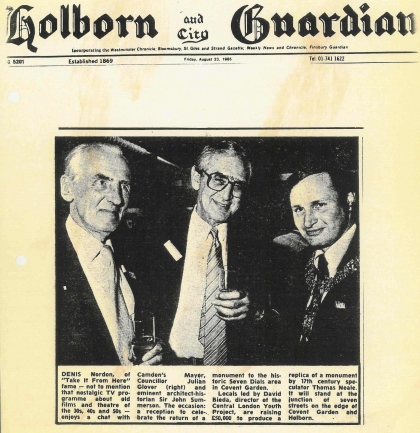 25 Nov. 1983 – Western Morning News: No Sale re Weybridge. 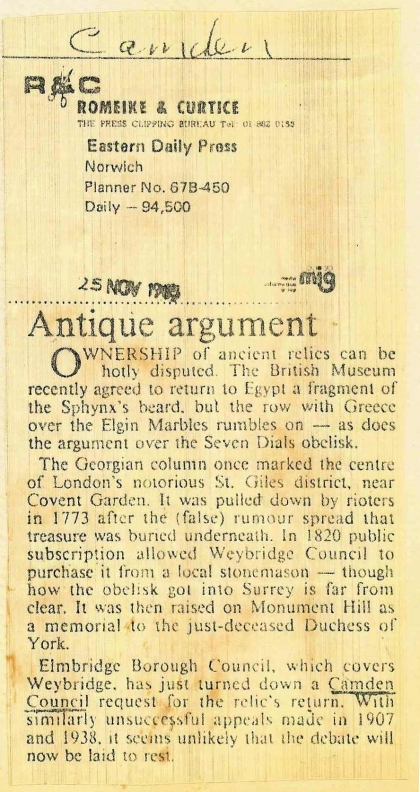 25 Nov. 1983 – Eastern Daily Press: Antique argument re Weybridge. 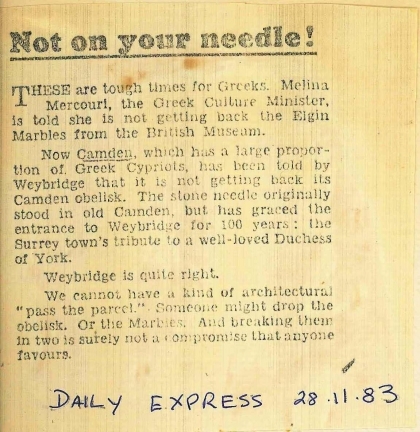 28 Nov. 1983 – Daily Express: Not on your needle! 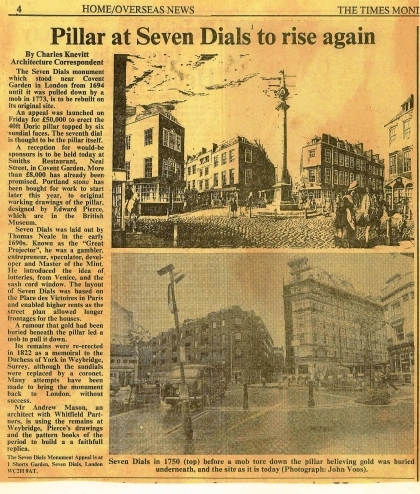 30 Nov. 1983 – Daily Express: Councils fight on in Seven Dials war. 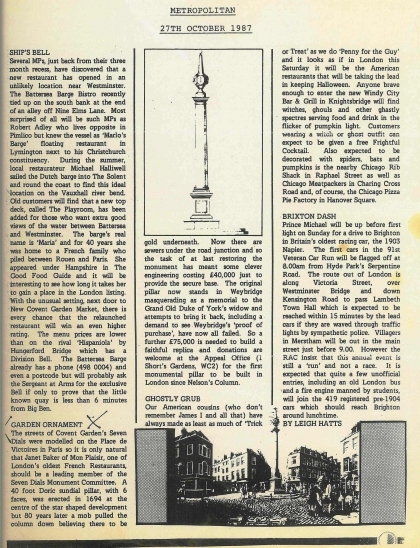 June 1985 – Virgin Atlantic's High Flying Magazine: London Landmarks. 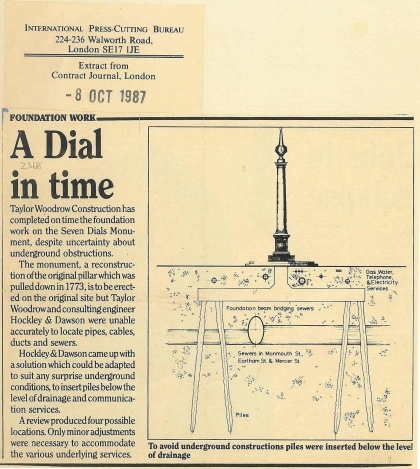 19 June 1985 – Times: Neglect at the Dials, by David Bieda, Director of the Central London Youth Project. 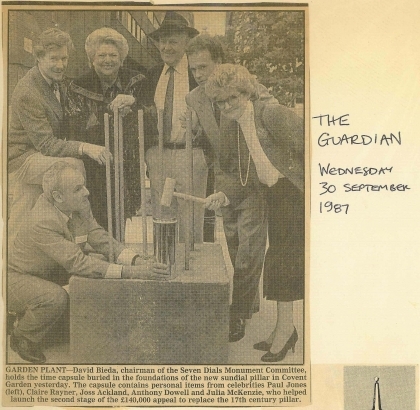 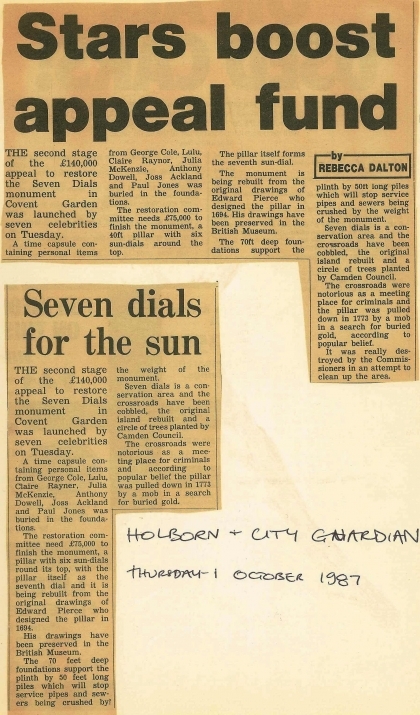 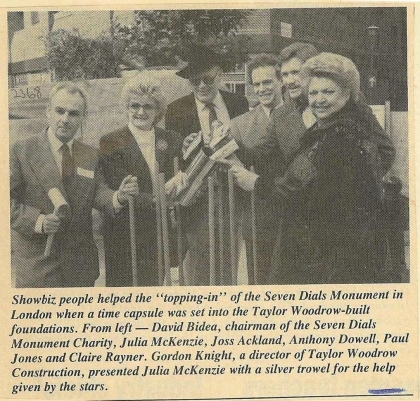 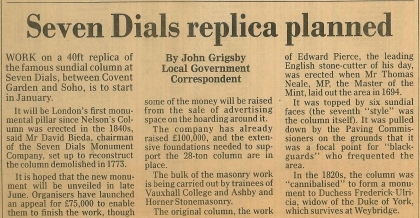 26 July 1985 – Holborn and City Guardian: New Dials Monument on the Way. 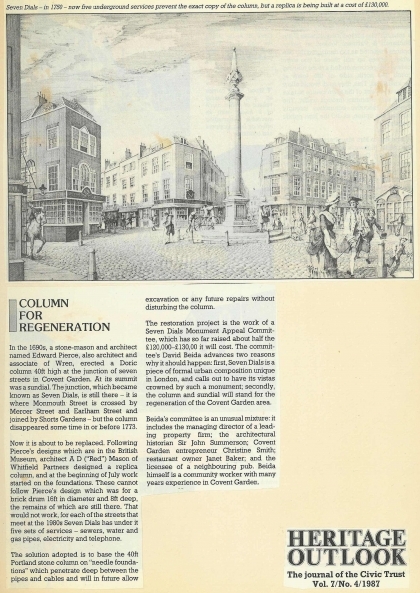 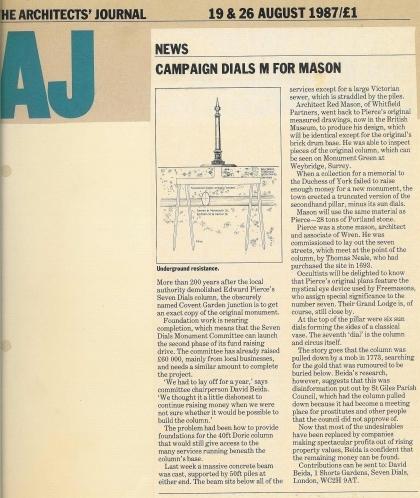 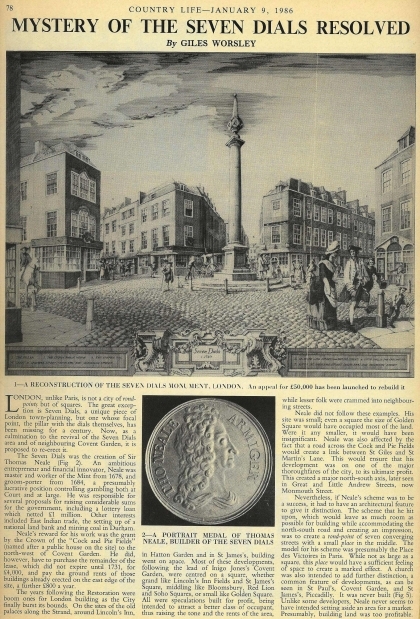 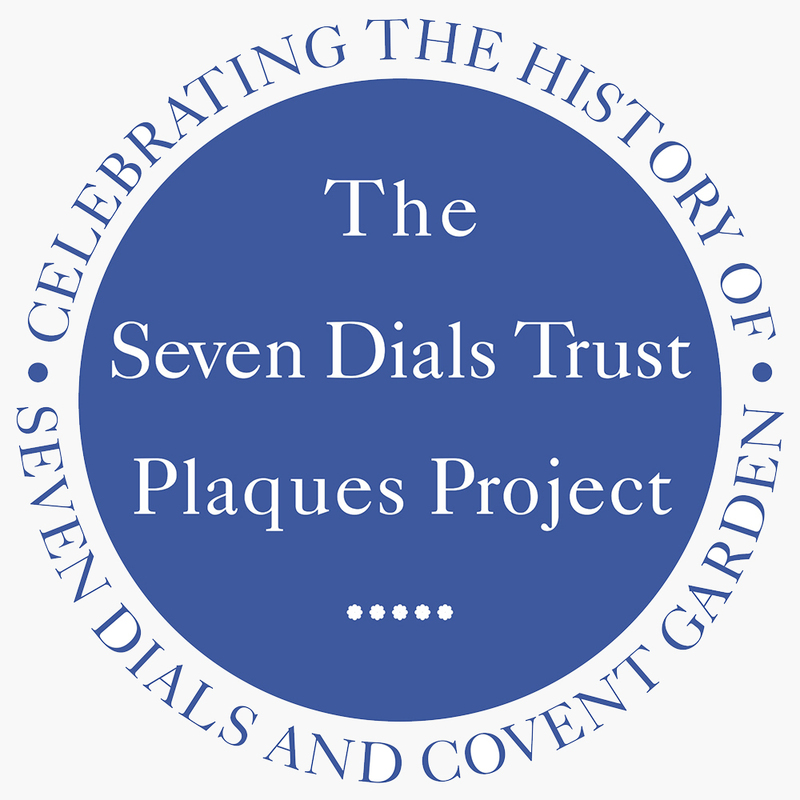 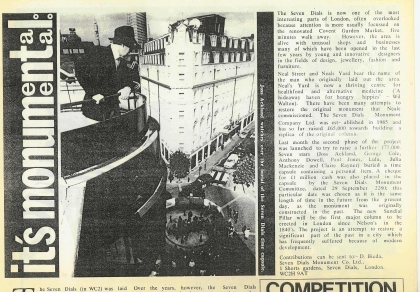 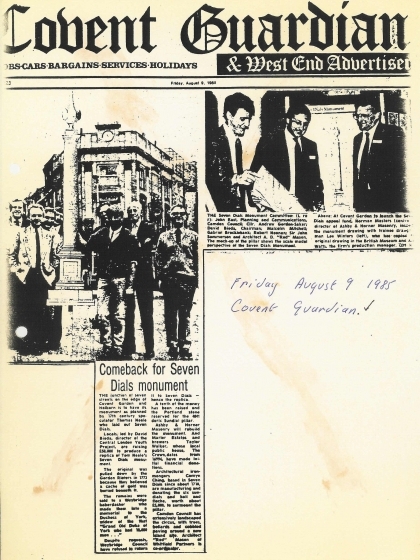 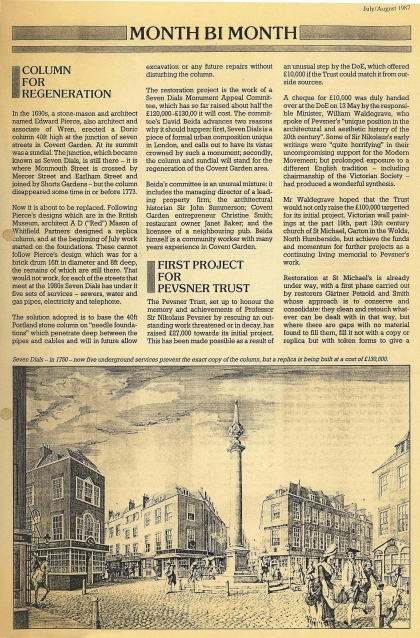 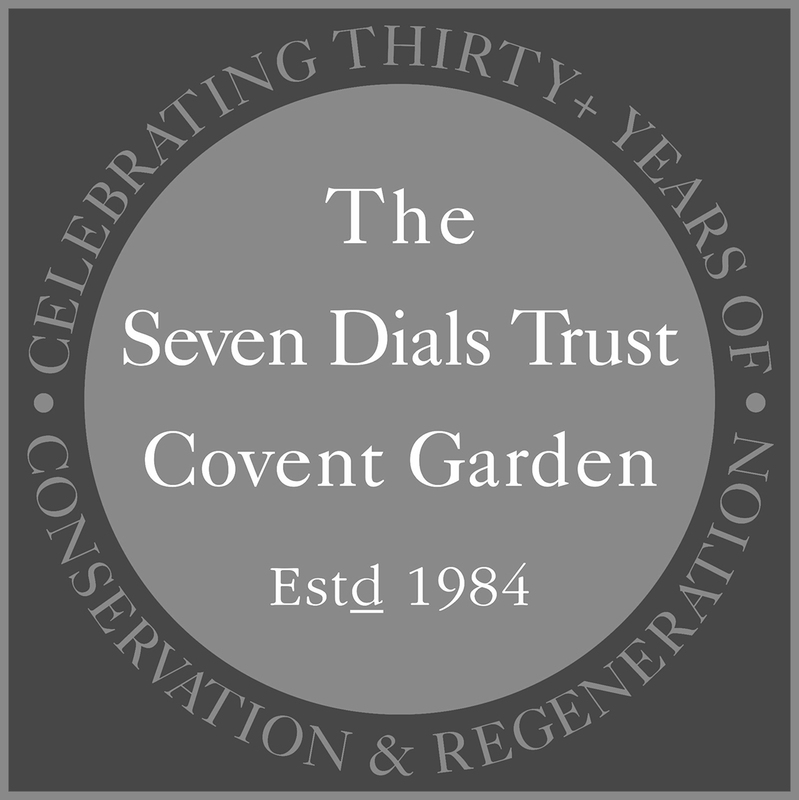 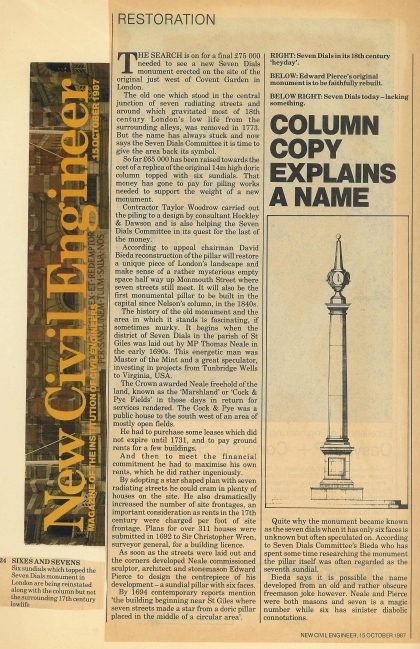 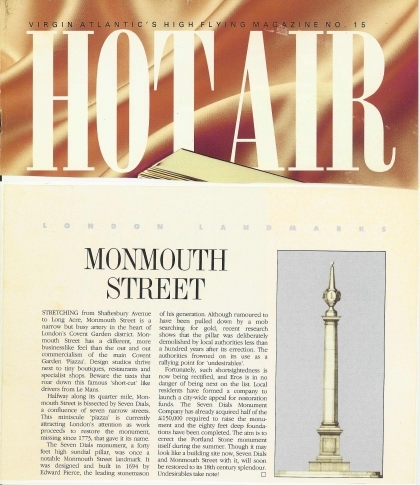 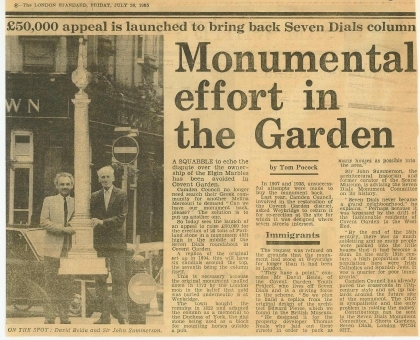 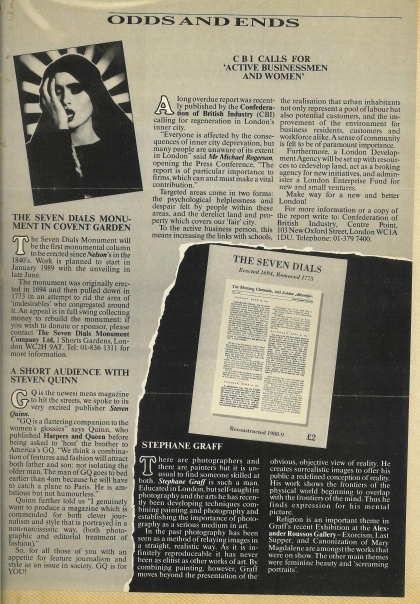 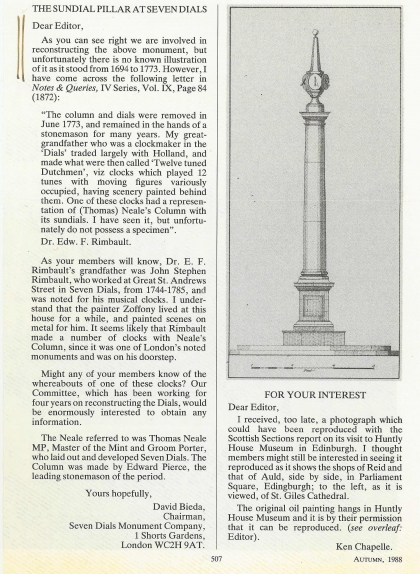 26 July 1985 – The London Standard: Monumental effort in the Garden – £50,000 appeal is launched to bring back Seven Dials column. 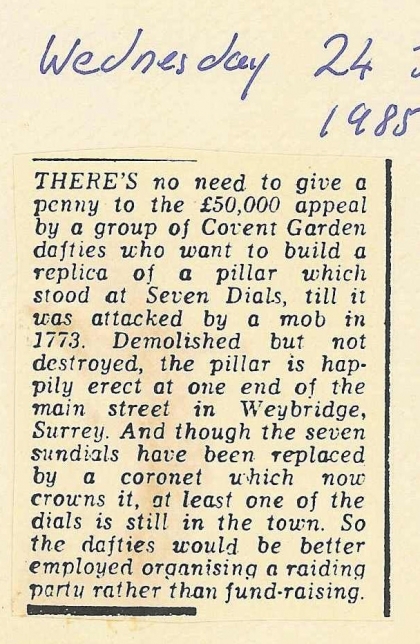 29 July 1985 – Times: Pillar at Seven Dials to Rise Again. 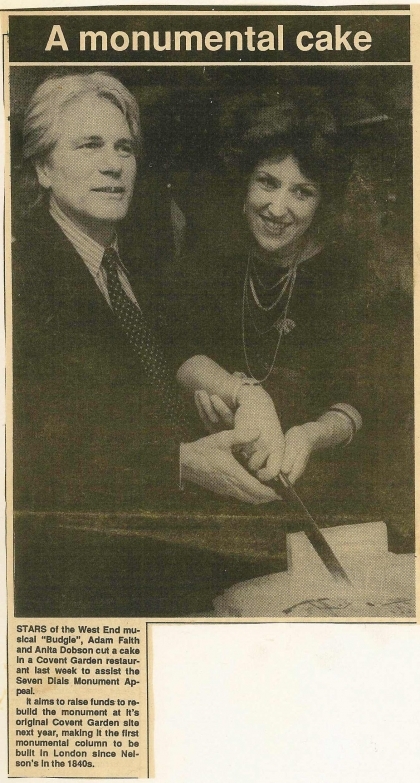 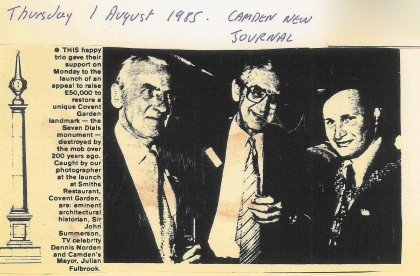 01 Aug. 1985 – Camden New Journal: This happy trio gave their support. 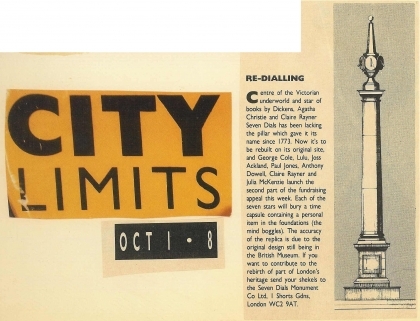 05 Aug. 1985 – City Limits Magazine: TRAX, WALKS & TALKS. 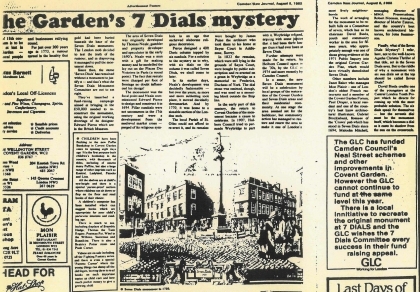 08 Aug. 1985 – Camden New Journal: The Garden's 7 Dials mystery. 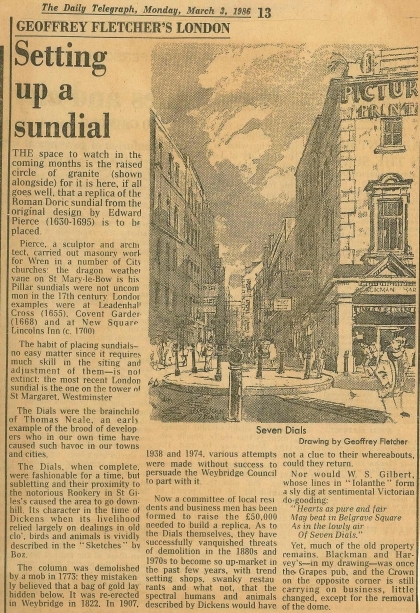 09 Aug. 1985 – Building: Seven Dials Goes Back to 18th Century. 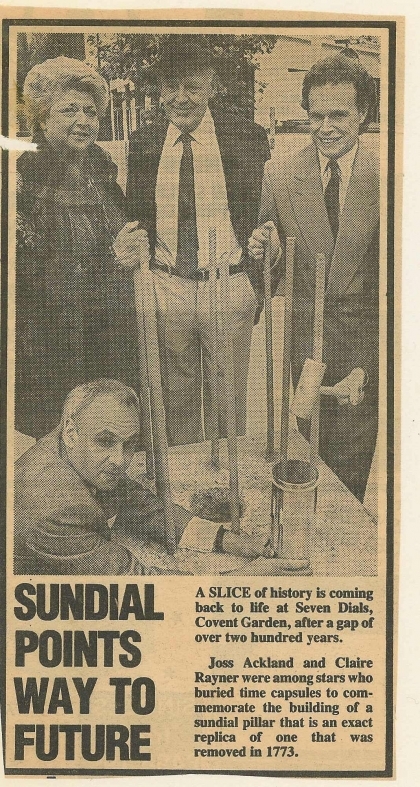 25 Sept. 1987 – Evening Standard : Stars shine for Sundial.